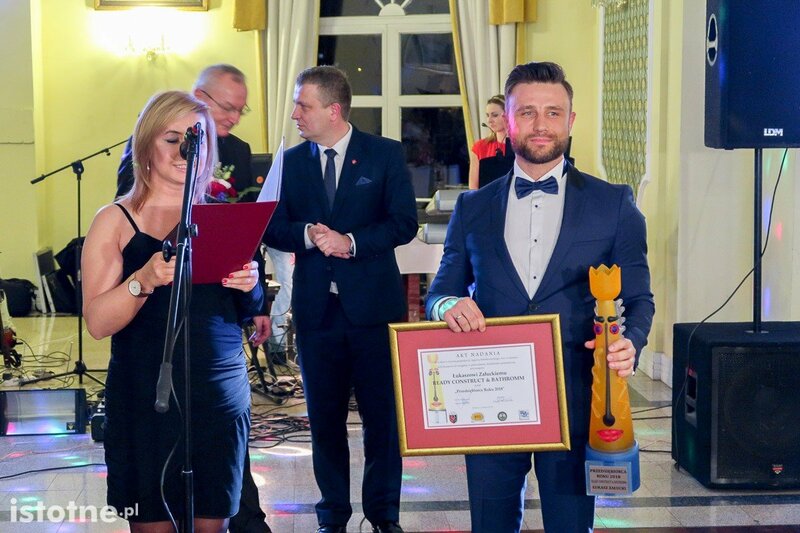 On 21 - 22 March 2019, the Convention of Mayors, Mayors, Presidents and Starostas of the Jelenia Góra region and part of the Legnica region organized by the Mayor took place Mariola Szczęsna. During the meeting, CEO Łukasz Załucki talked about the future of our company. is worth about DKK 10 million (PLN 6 million). of prefabricated construction for the implementation of housing, hotel, student housing and senior housing projects for many decades. We invite you to a special issue of the Weekly magazine Łużyce, in which CEO Łukasz Załucki, the winner of the WOŚP auction, will debut this time. the amount of nearly PLN 7 million. Ready Construct deals with employing workers from the construction industry and supplies them with the Belgian market. Ready Bathroom dealing in the production and supply of modular bathrooms to Europe. CEO of Ready Bathroom. 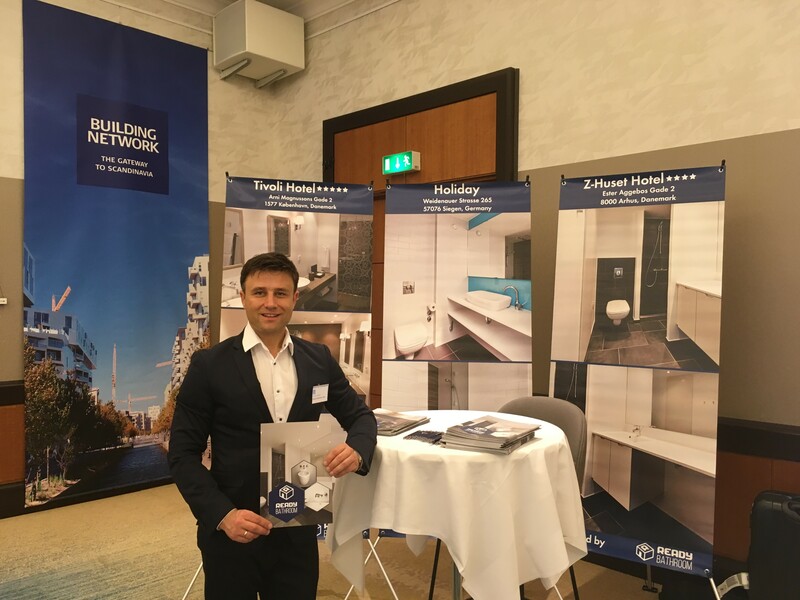 Łukasz Załucki proudly represented our company specializing in modular construction at the "BUILDING NETWORK" trade fair, which took place at the Marriott hotel in Copenhagen. 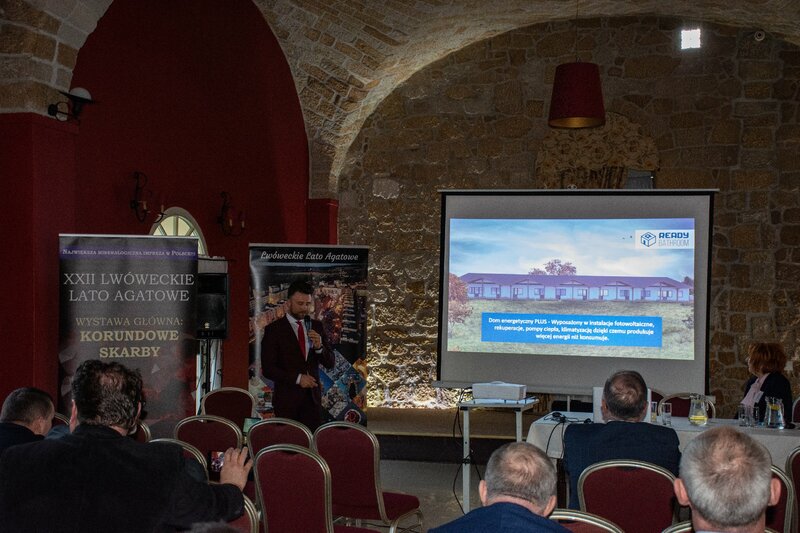 The conference was addressed to developers, advisers, general contractors and specialized contractors, as well as to suppliers in the construction industry interested in discovering the possibilities of developing their operations in Scandinavia and establishing contacts with new potential partners and suppliers. On October 25 at the PGE National in Warsaw, the Polish Investment Agency and Trade is organized by PAIH EXPO 2018. 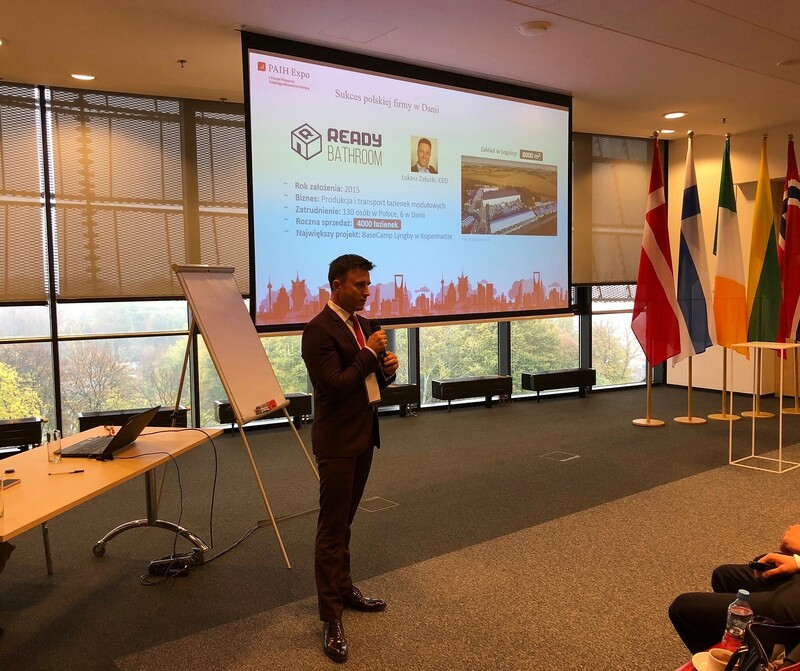 As part of my CEO presentation, Łukasz Załucki will give a short short speech about the company's Polish company in Denmark. He shares with the participants. Higher enterprises and member states abroad. Łukasz Załucki and Jan Grivalski met at the "Scientific and technical conference" organized by the Wrocław University of Technology in Szklarska Poręba. Effective cooperation of entrepreneurs, scientists, local government and employees is a rational method for the development of our company. 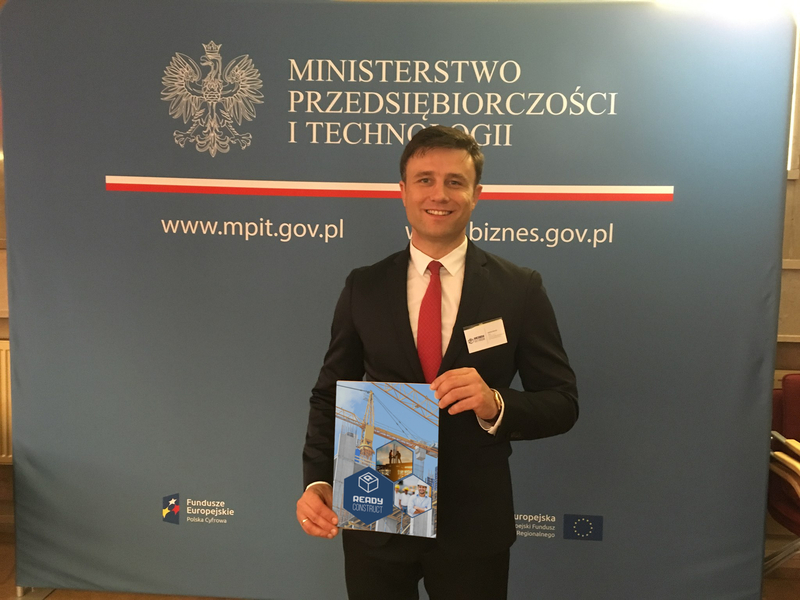 Our factory was established and develops thanks to cooperation with local self-government, scientists from Wroclaw University of Technology, in cooperation with other entrepreneurs and of course with integrated and qualified crew. dr hab. Eng. Anna Halicka - Lublin University of Technology and many others. 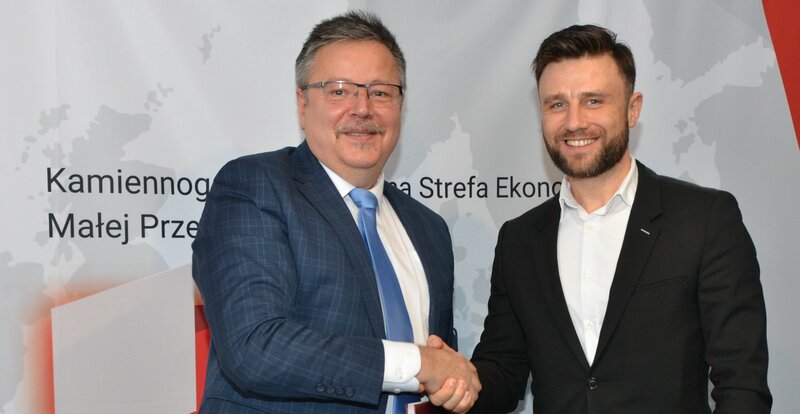 We have just signed an agreement between the CEO of Readybathrom Łukasz Załucki, a member of the board of the company Jan Grivalsky, the director of the ZSB Tomasz Łabowicz and the president Tadeusz Krzakowski. We are a patron of the class at the School Complex in Legnica. The ZSB classes will educate for the needs of the labor market. We guarantee traineeships in our institution and later employment. 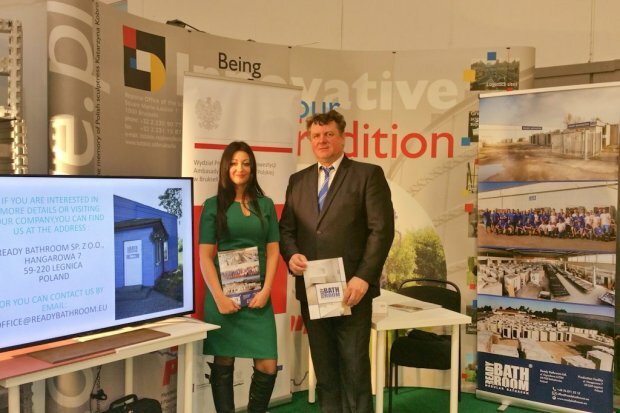 In Legnica, we want to create a European Center for the production of bathroom modules.